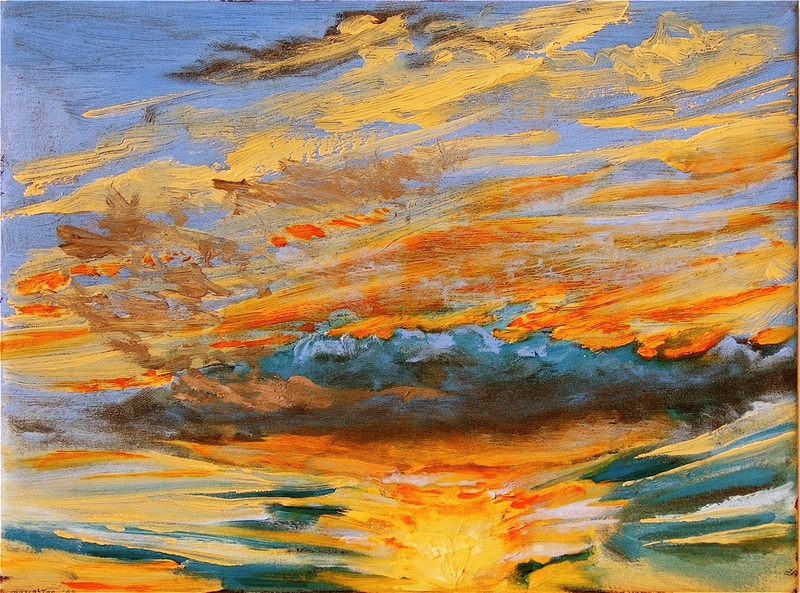 Sunrise, 11 x 17, acrylic on canvas, 2011. 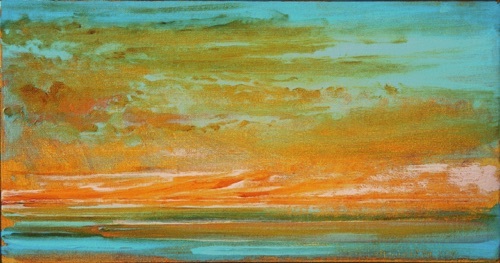 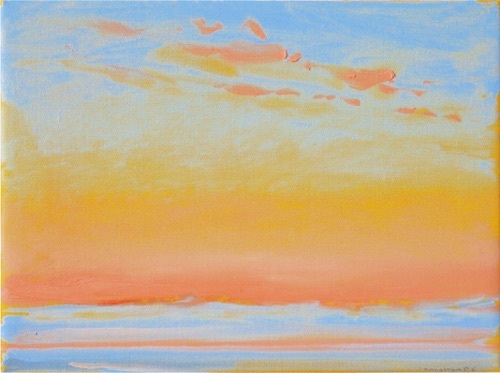 Sunrise III, 11" x 17", acrylic on canvas, 2011. 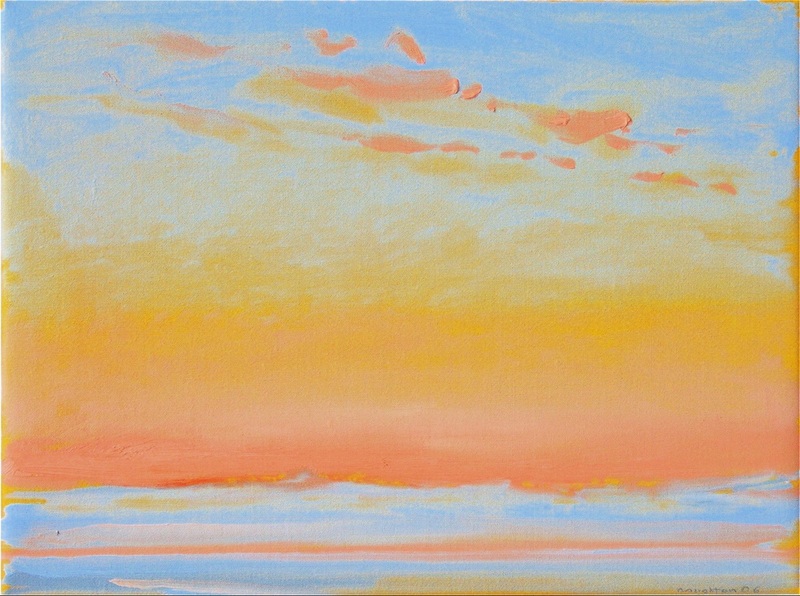 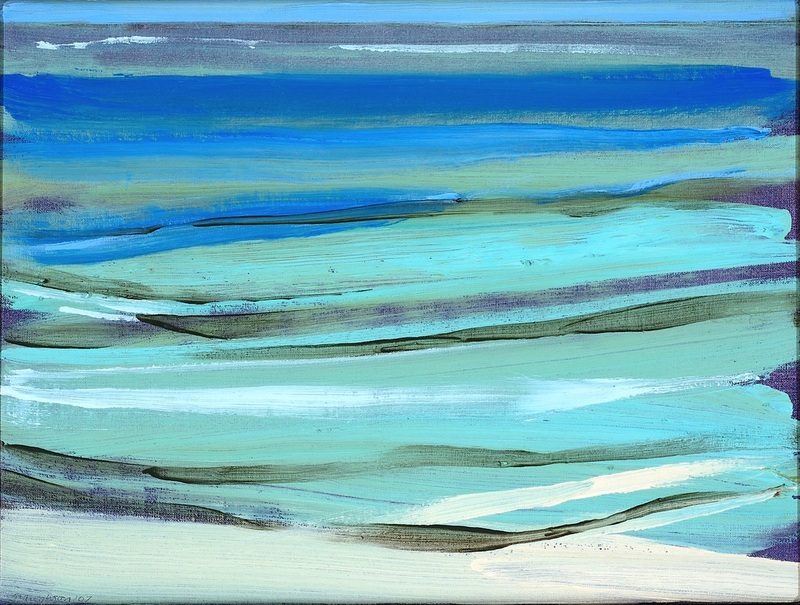 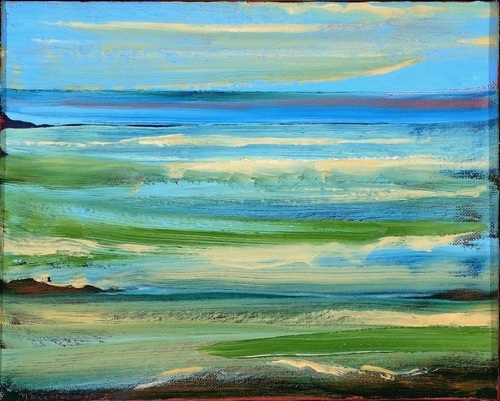 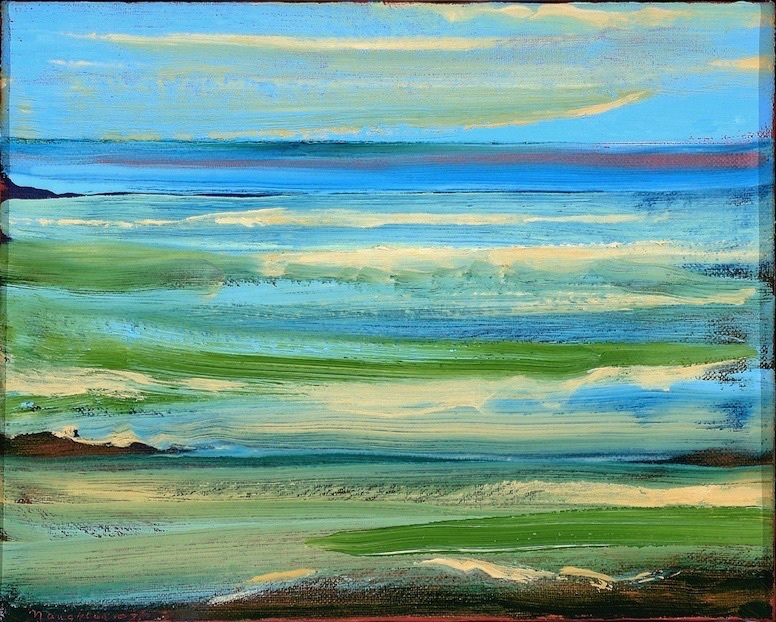 Sunrise IV, 11" x 17", acrylic on canvas, 2011. 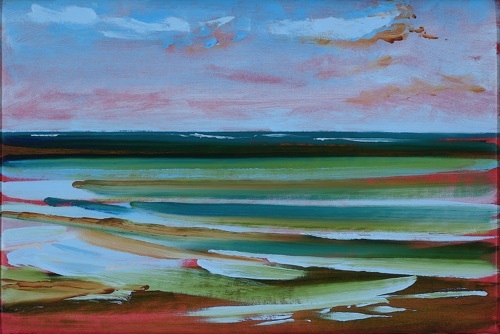 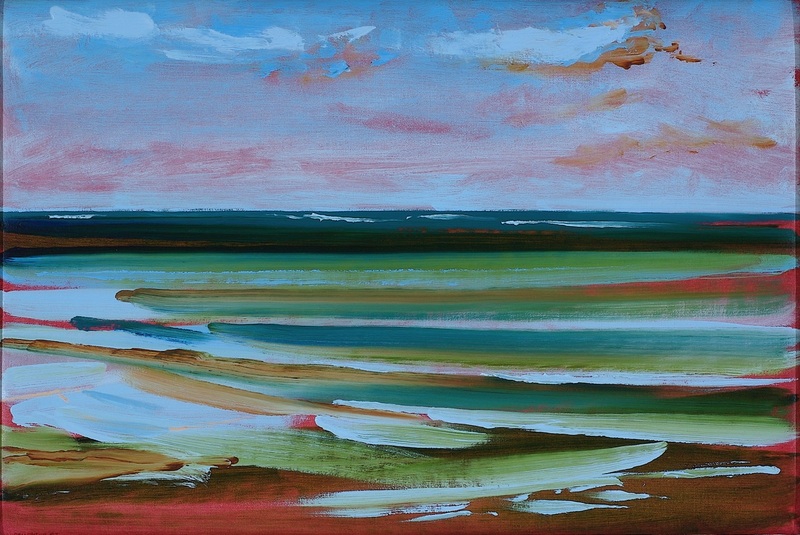 Sunrise II, 11" x 17", acrylic on canvas, 2011. 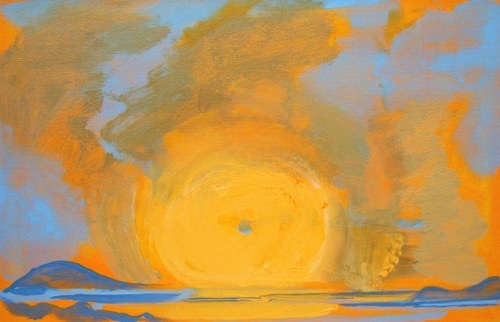 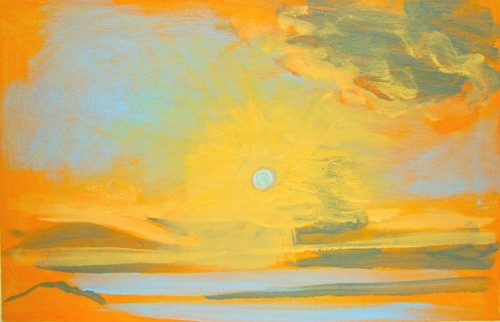 Yellow Glow - Sunrise, 9" x 12", oil on linen, 2006, private collection. Overcast Sky with Blue Sun - Sunrise, 12" x 18", oil on linen, 2006. Brilliant Sunrise, 9" x 12", oil on linen, 2006. 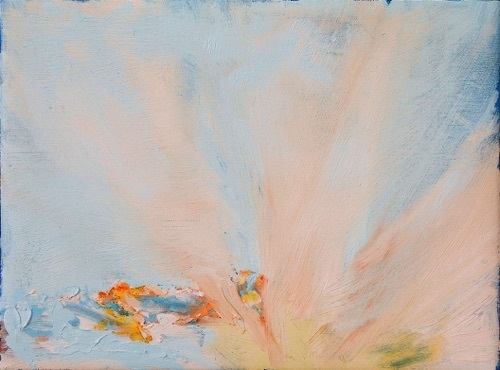 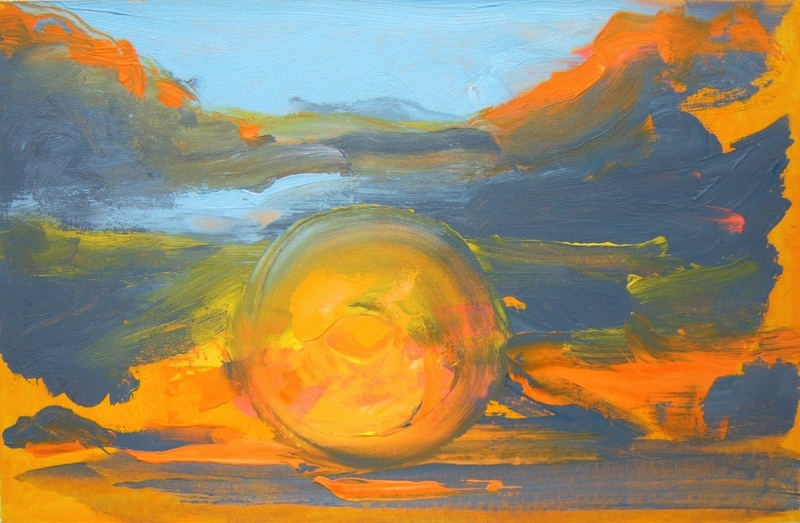 Exploding Sun, Heavy Cloud, 9" x 12", oil on linen, 2006, private collection. 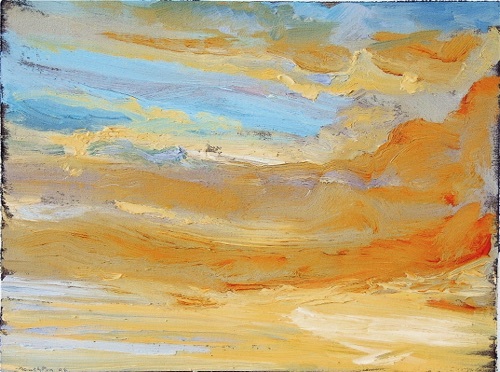 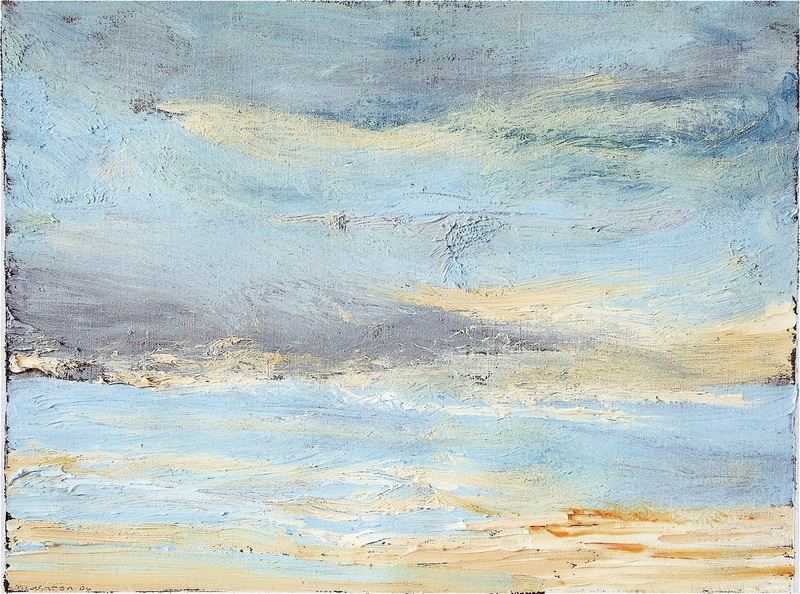 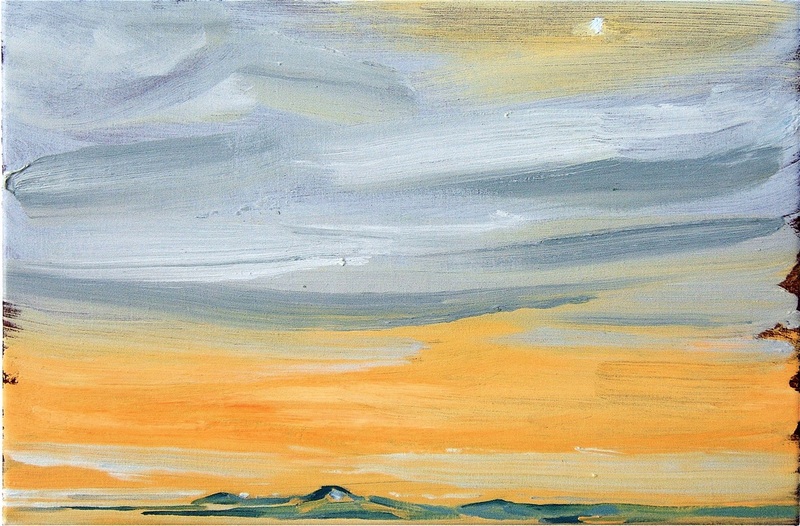 Overcast Sky - Sunrise, 9" x 12", oil on linen, 2006. 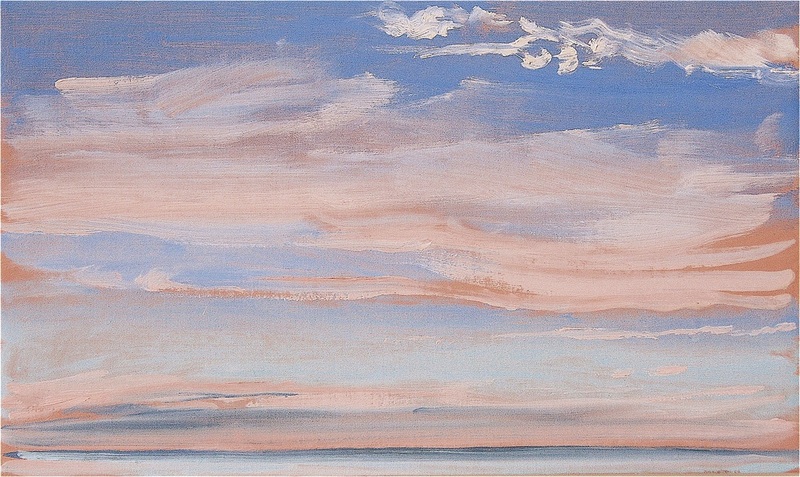 Sunrise - a Clear Day, 9" x 12", oil on linen, 2006, private collection. 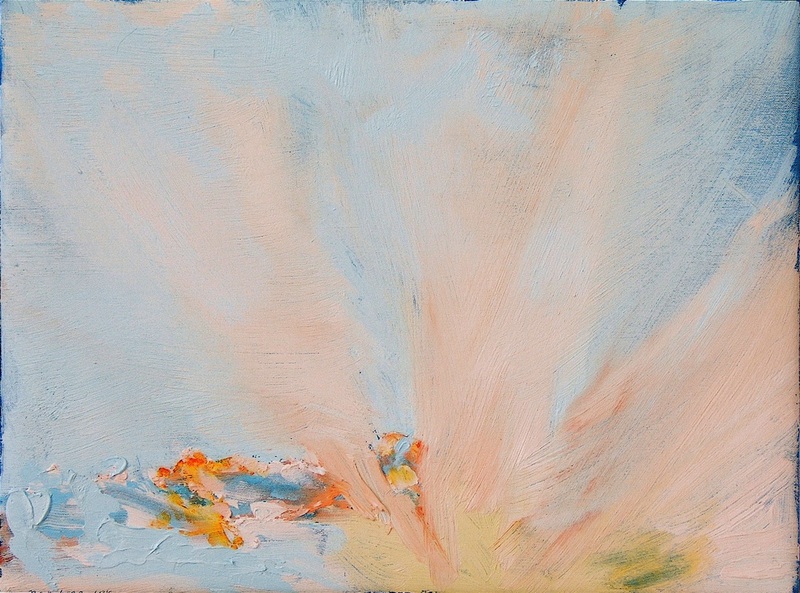 Radiant Dawn, 9" x 12", oil on linen, 2006, private collection. 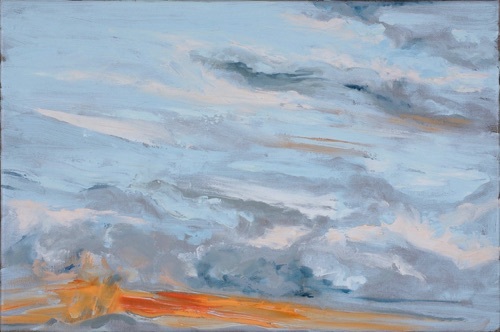 Red Rain Clouds at Sunrise, 12" x 18", oil on linen, 2006, private collection. Rain, 10" x 16", oil on linen, 2004, private collection. 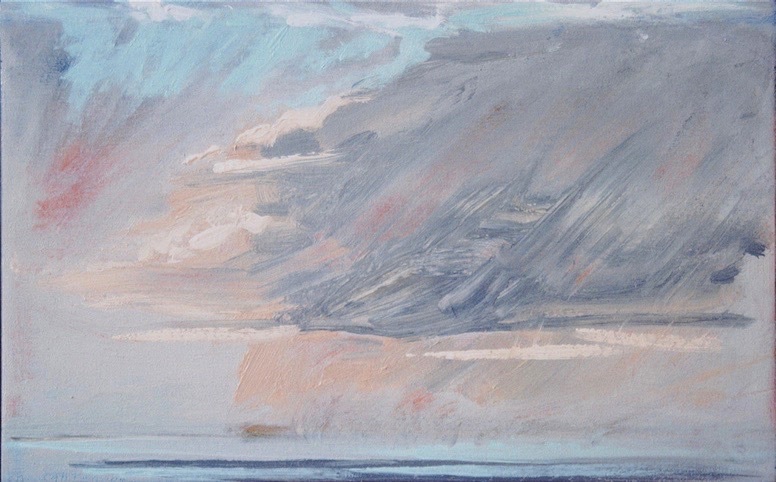 Swept Clouds, 12" x 20", oil on linen, 2006, private collection. 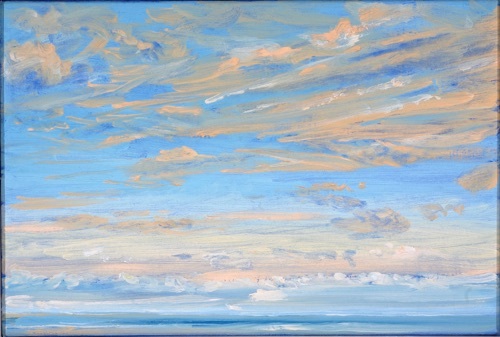 Clouds Moving From North - Sunrise, 12" x 18", oil on linen, 2006. 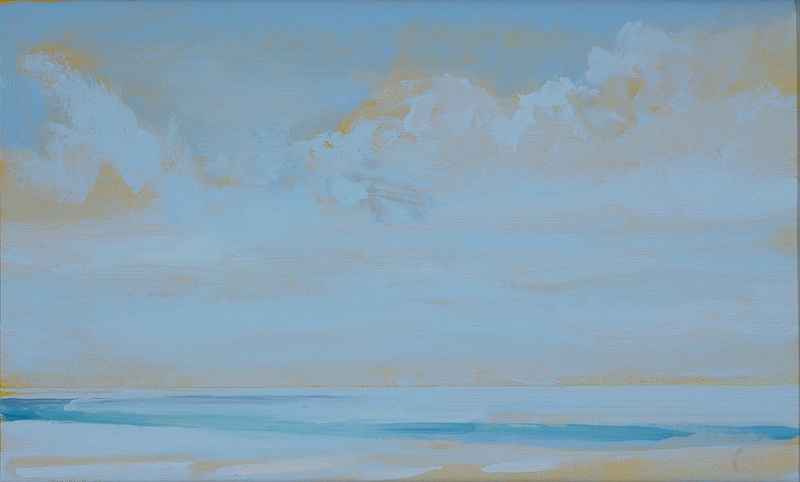 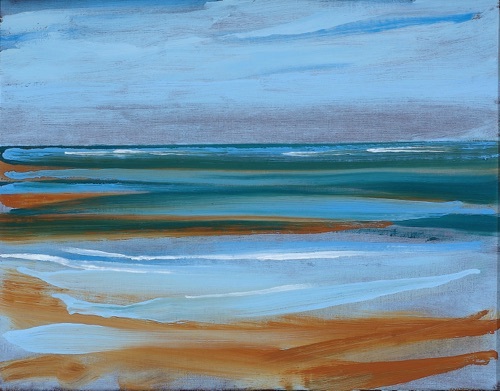 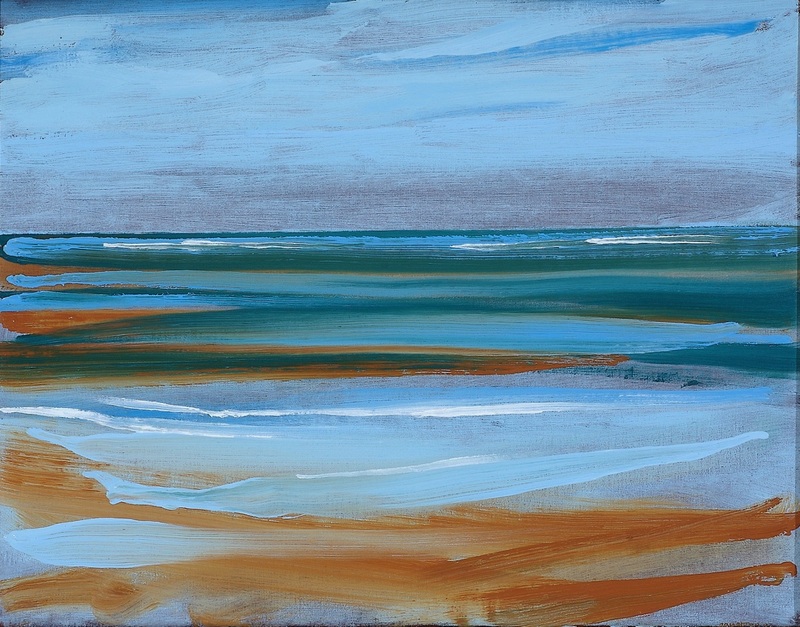 Haleiwa III, 10" x 20", oil on linen, 2007, private collection. 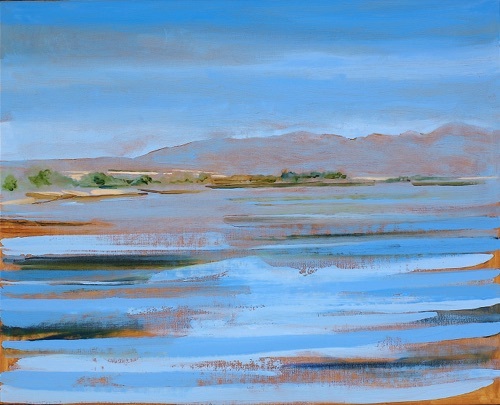 Haleiwa Harbor, 24" x 30", oil on linen, 2007 , private collection. Waimanalo Beach, 12" x 20", oil on linen, 2007, private collection. 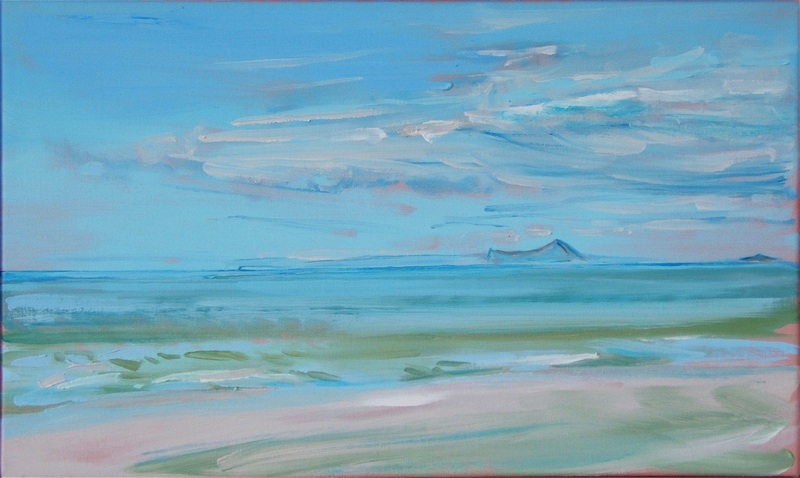 Lanikai from Waimanalo Beach Park, 12" x 20", oil on linen, 2006. Makapuu from Waimanalo Beach, 12" x 20", oil on linen, 2006, WCC collection. 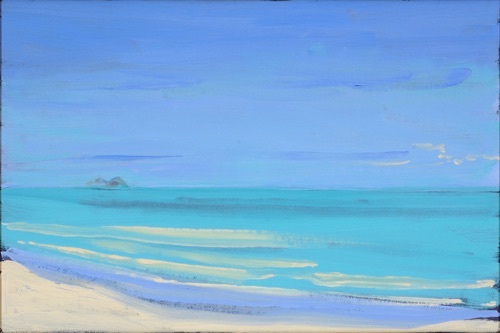 Waimanalo Beach Looking Towards Lanikai, 16" x 24", oil on linen, 2007, private collection. 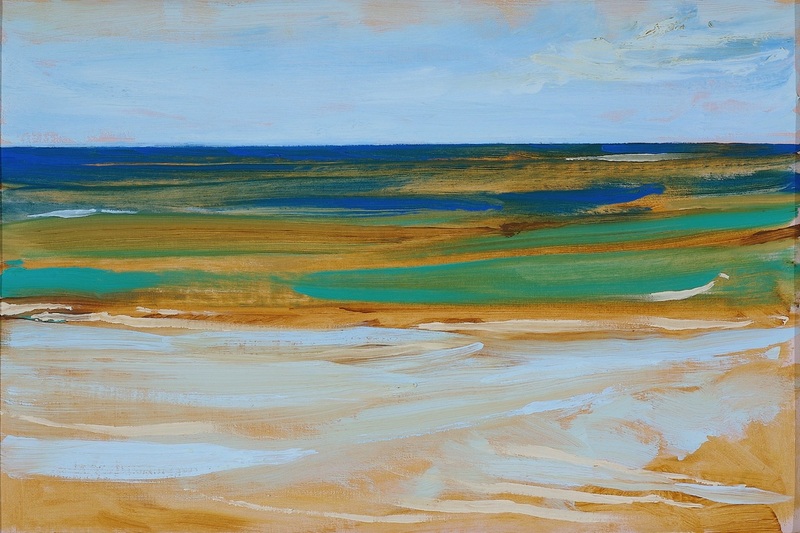 Kawela Bay VII, 14" x 18", oil on linen, 2007. 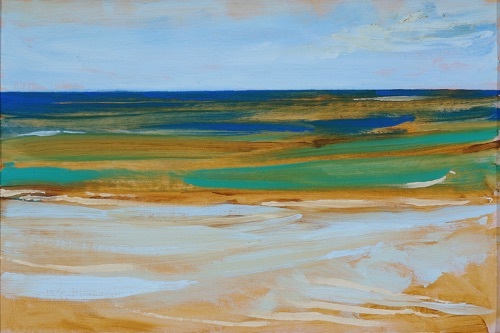 Kawela Bay IV, 16" x 24", oil on linen, 2007, private collection. 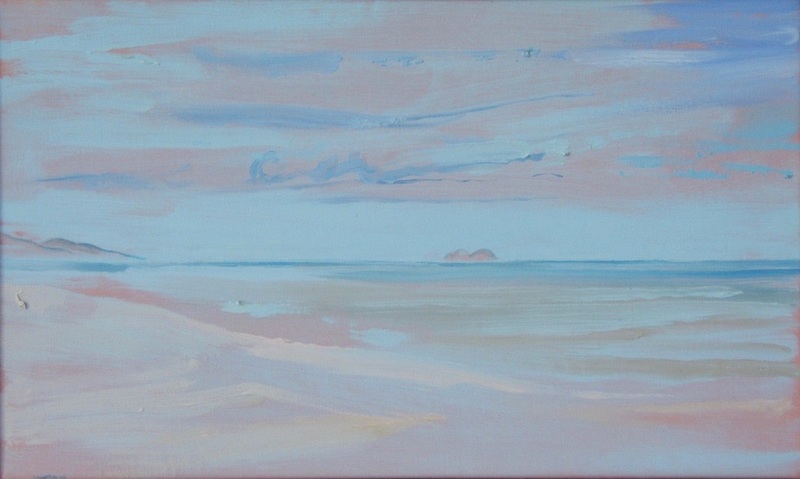 Kawela Bay V, 9" x 12", oil on linen, 2007, private collection. From Haleiwa, 8" x 10", oil on linen, 2007, private collection. 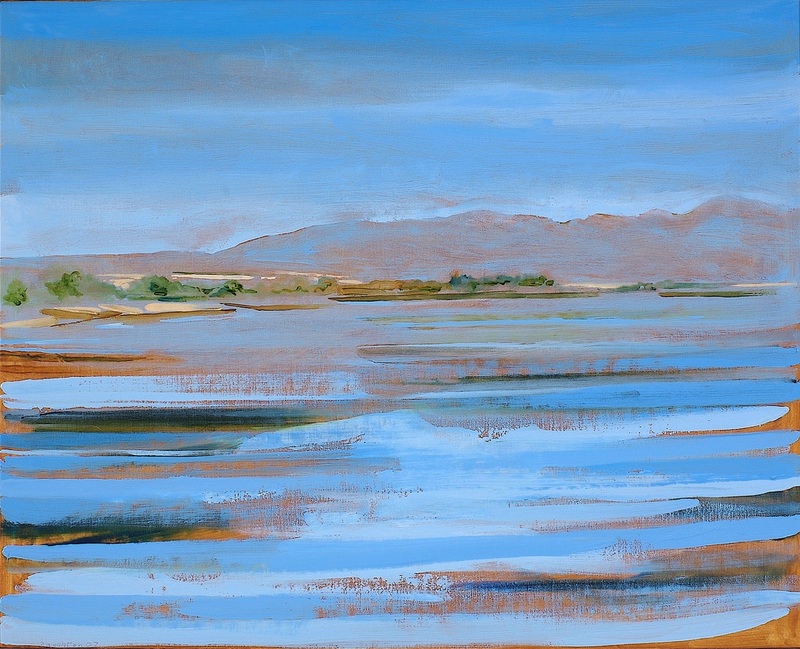 Kawela Bay VI, 16" x 24", oil on linen, 2007, private collection. 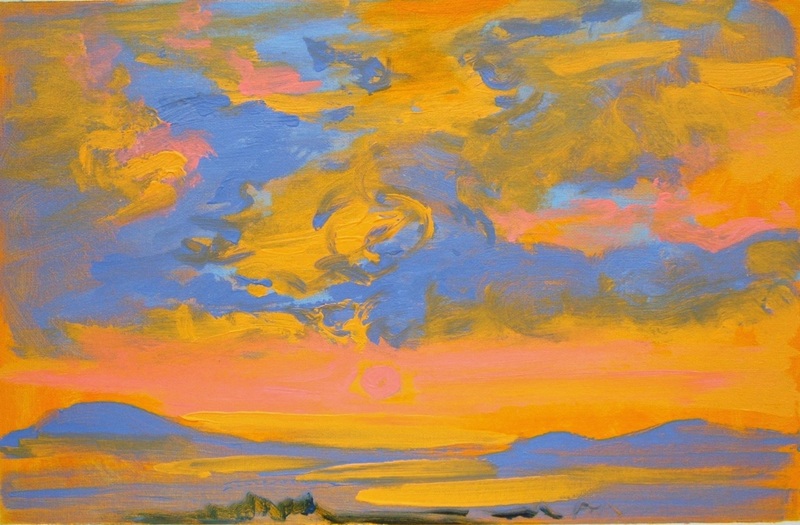 Glowing Sunset, 8" x 16", oil on linen, 2001, private collection. 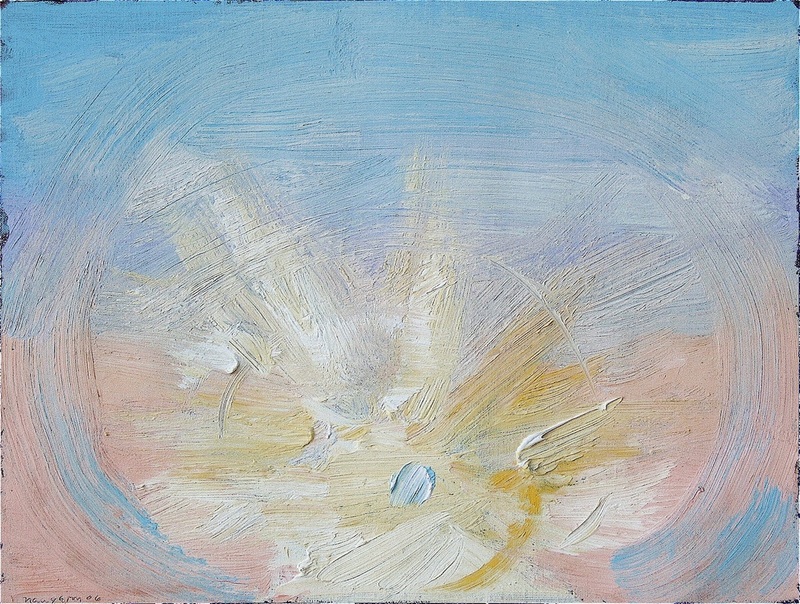 The light paintings are abstractions of the horizon and sky that I paint from the windows of my painting studio or in the landscape. 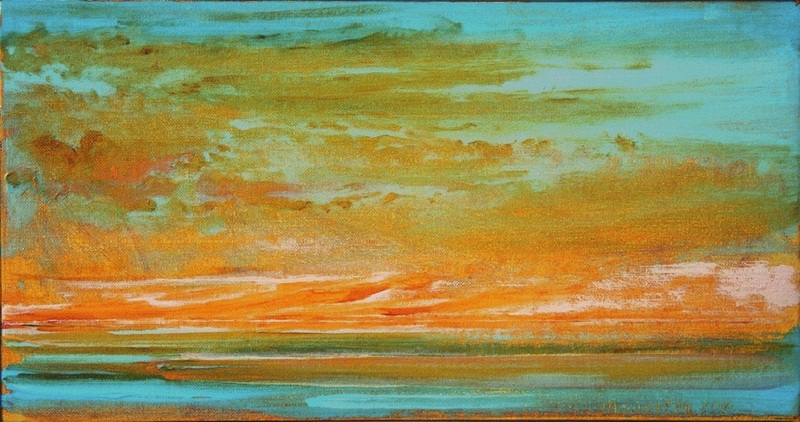 Using different colored grounds and color combinations to explore luminosity, I seek to create a spiritual emanation.